Questions? Please feel free to call or email. 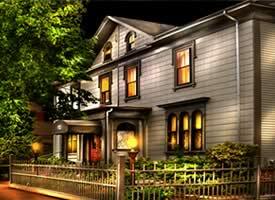 Prospect Place Bed and Breakfast Inn is easily accessible by public transportation or automobile. The MBTA subway and bus stop is just a five minute walk from our front door, which makes most anywhere in metropolitan Boston and Cambridge only minutes away. Please contact us if you need specific driving or public transportation directions to the inn. We’ve stayed at Prospect Place twice now and just love it. … beautiful, relaxing environment. It’s a perfect location for Cambridge and offers a nice getaway for a great price.